1929-06-30/1939-07-02 Office Specialty, Mileage 33.4, N.8 CNR.CR.NOD.28/66 . 1939-09-24/1969-04-27 Office Specialty, Mileage 33.4, N.7 CNR.CR.NOD.67/28; CNR.GLR.TA.53/71; CNR.GLR.NOA.49 . 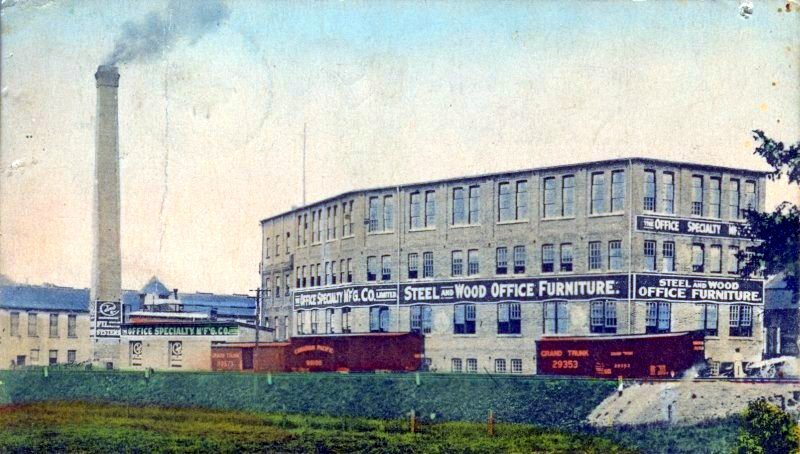 JPS Collection Coloured postcard view of The Office Specialty Manufacturing Company, Limited's Newmarket plant. Printed in Great Britain. Postmarked May 19, 1911 Newmarket. 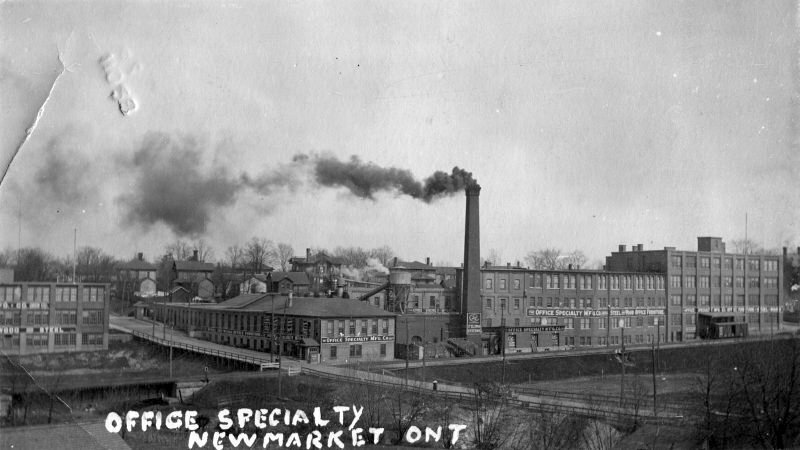 JPS Collection Panaromic postcard view of The Office Specialty Manufacturing Company, Limited's Newmarket plant. Postmarked Nov. 28, 1922 Newmarket. Note southern extension (righthand side of photograph) not present in ca. 1910 postcard.